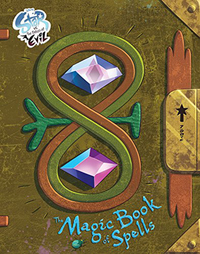 Join us on Saturday, September 29 at 1:00-3:00pm for a one day book launch/signing event in celebration of the new book The Magic Book of Spells! Ticket prices are $10 + service fee. Ticket holders will receive $5 credit to their in-store purchase of event related items. *Signing starts at 1pm. Please plan to arrive an hour early to purchase signing items ahead of time. Admission is guaranteed for ticket holders ONLY. If event is sold out, we will not be allowing walk-ins due to capacity. Signing tickets limited to 2 per person. Any additional purchased will be automatically refunded. Due to limited quantity of copies, we will not take book orders over the phone prior to the signing. Books are available at first come first served basis. Please plan to arrive early to purchase. Artists will not be doing sketches. Please no photos with artists. This is a book signing ONLY, there will not be a panel. Ever wondered what's inside The Magic Book of Spells? 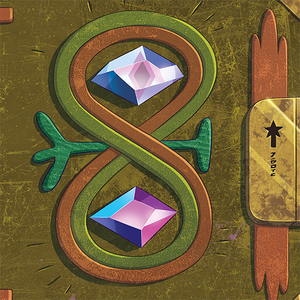 It contains every spell you've ever seen on the show, plus the history of Mewni, as told by thirteen queens. 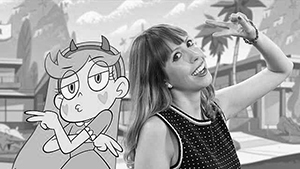 Each chapter is full of secrets, magic, and notes from Star Butterfly!